Top: Two D.G. 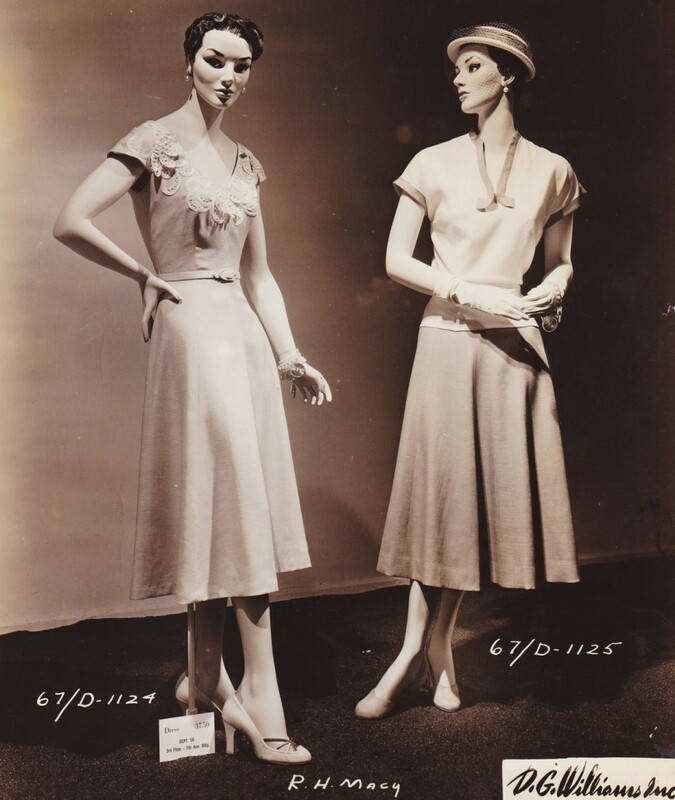 Williams papier-mâché mannequins as prepared for Macy’s in the 1940s. Image courtesy ChadMichael Morrisette. 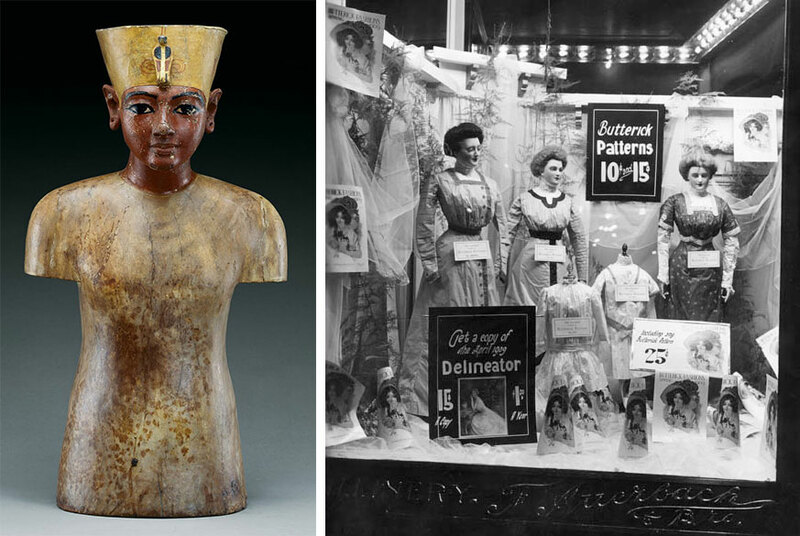 Above left, King Tut’s wooden bust. 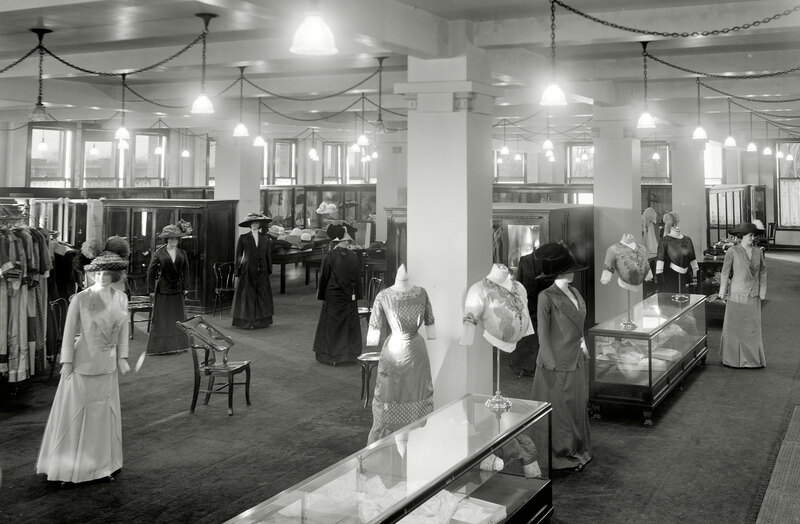 Above right, an early display window for Auerbach’s shows a group of wax mannequins, some with added arms and heads, circa 1909. 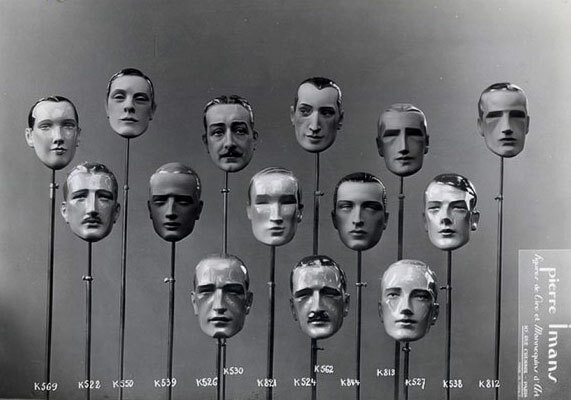 This selection of chiseled faces by Pierre Imans shows the limited range of emotion on male mannequins, circa 1930s. 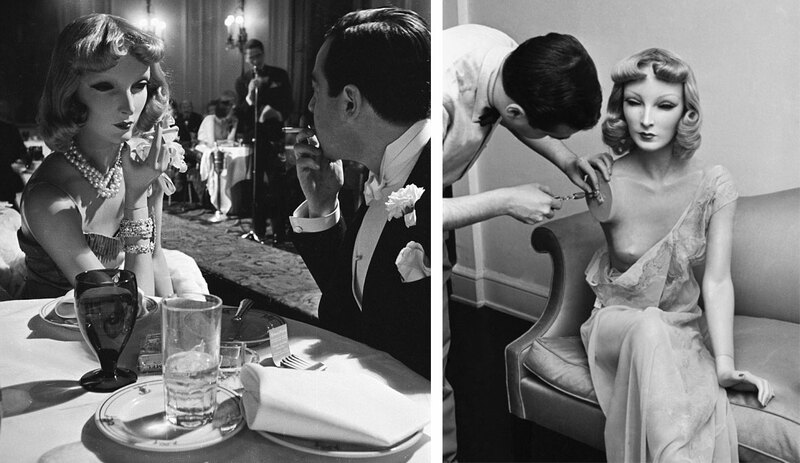 Left, Cynthia enjoys a cigarette with Lester Gaba at a New York City bar in 1937. Right, Gaba makes a small repair to Cynthia’s upper body. Via www.time.com. 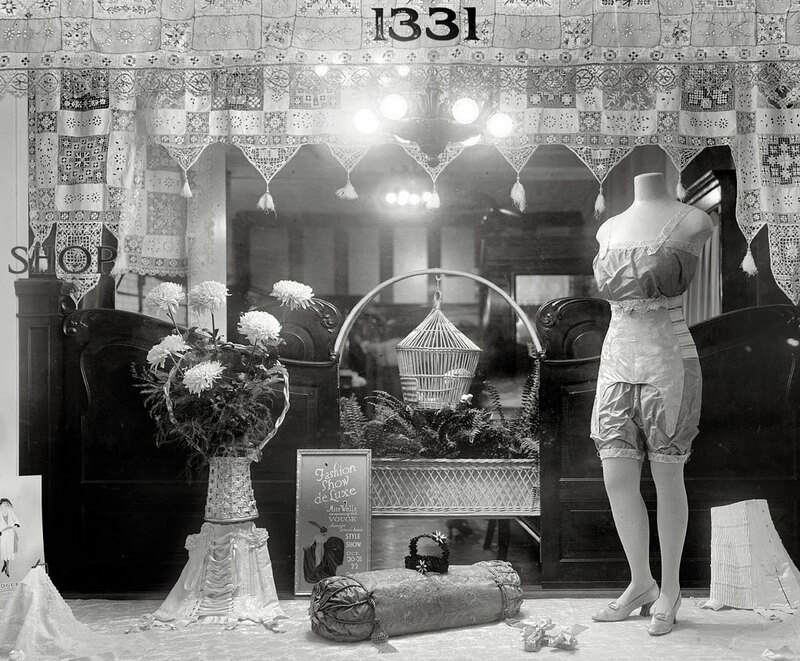 In a similar marketing move a few years later, Bonwit Teller hired several Surrealist artists, like Salvador Dalí, to rework their store windows, underestimating just how provocative they could be. One of Dalí’s windows featured a bathtub lined with Persian lambskin, its darkened water sprinkled with narcissus flowers. 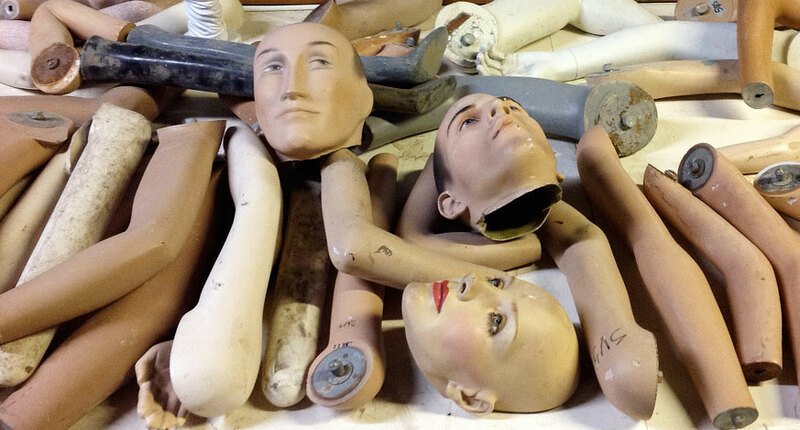 Several disembodied arms reached from the water, holding mirrors aimed at a decrepit female mannequin from the late 19th century standing nearby. Her body was clad only in feathers, while her head was topped with a blonde wig crawling with fake bugs and blood-red tears streamed from her eyes. 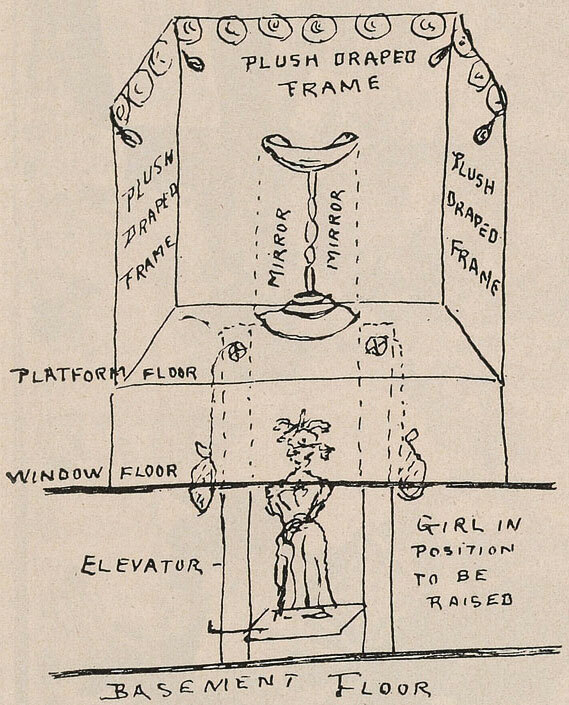 Bonwit Teller quickly replaced the scandalous figure amidst the ensuing public outcry, to which Dalí responded by storming the display and tossing the bathtub right through the plate-glass window. 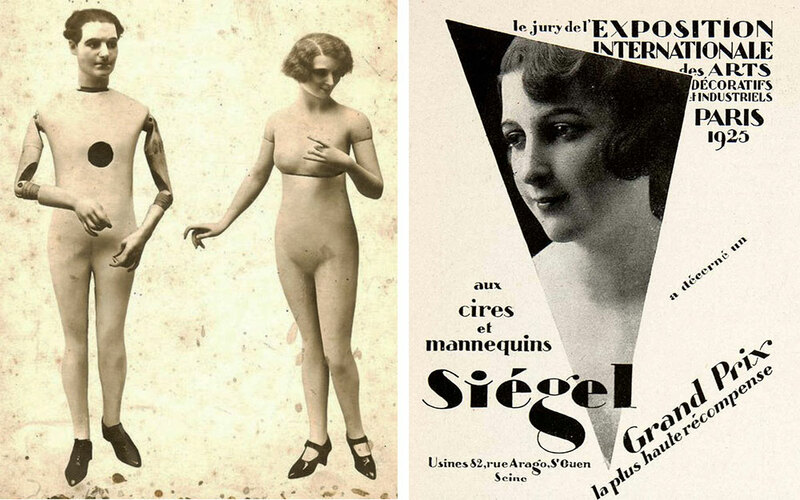 Dalí wasn’t the only Surrealist inspired by mannequins, as these two images from the 1938 International Exposition of Surrealism in Paris show. 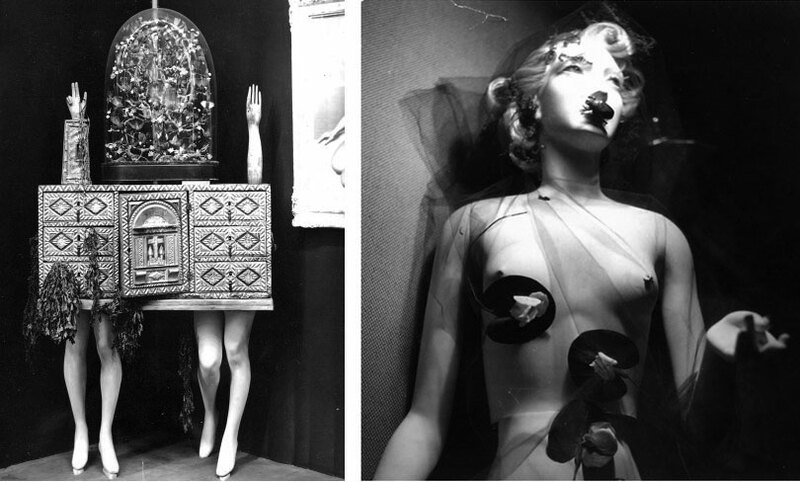 At left, André Breton’s chest with legs, and at right, Sonia Mossé’s altered mannequin. 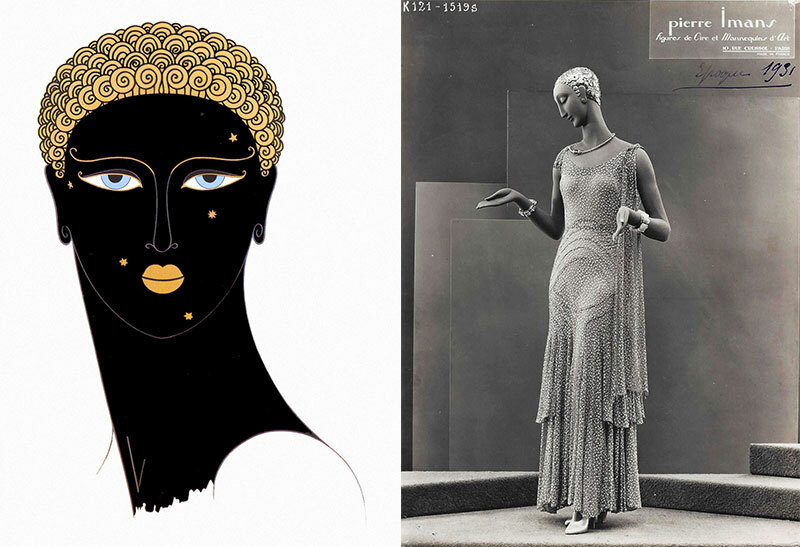 Left, Hale had this letterhead designed by Richard Carciero to showcase the historical shifts in mannequin forms. Right, Hale followed in Gaba’s footsteps and brought a tuxedo-clad mannequin as her date to Ron Rezek’s Halloween party in the 1980s. Images courtesy Marsha Bentley Hale. 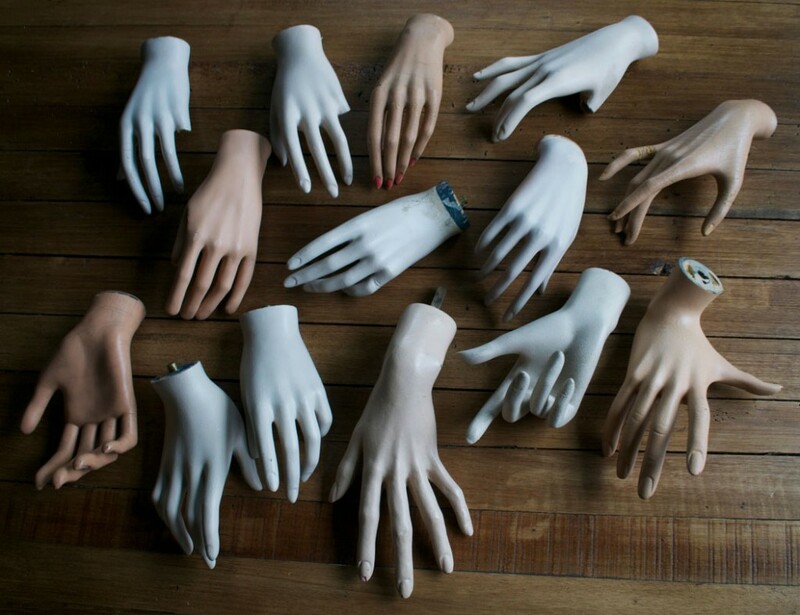 In contrast, Morrisette learned the ins and outs of mannequin manufacturing from his experience with retail merchandising. 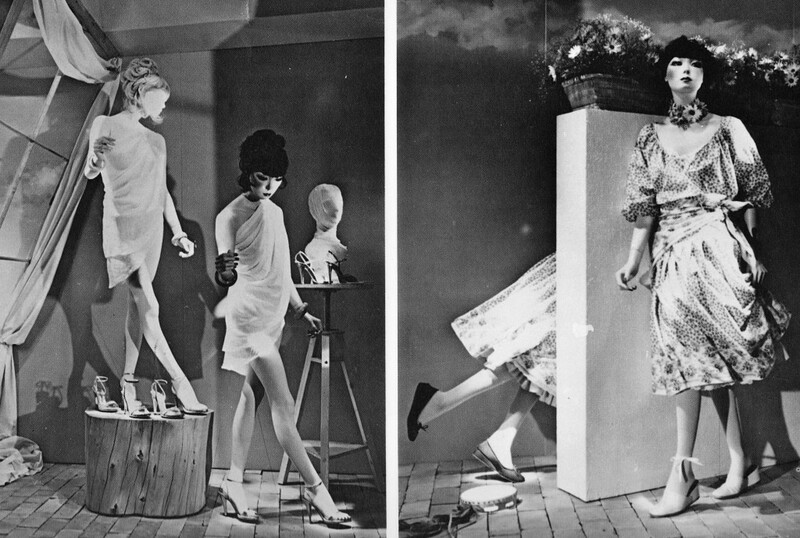 His foray into the world of vintage mannequins actually began at the peak of the faceless clone trend: In the late 1990s, as he moved up the merchandising ranks at department stores like Nordstrom and Saks Fifth Avenue, Morrisette was encouraged to learn about vintage mannequins by his friend and colleague, Michael Zadowicz, who was the lead sculptor at Patina V, a major mannequin manufacturer near Los Angeles. My girlfriend is a training manager for a women’s clothing chain…she likens dressing the mannequins to playing with dolls. It’s so nice to read about Lester Gaba. I grew up thinking he was just one of “the boys” in my art dealer grandmothers entourage we would visit with on Fire Island. I had no idea of his fame 40 years prior. I just knew him for his still lives. Congratulations! You’ve just helped me discover a new interest/fascination. What a story these figures can tell. Thanks for this great research. Many great pictures and stories to check out. I have to look at my old 1960’s? manikin from Omaha now and figure out who she is. Does anyone have any info on a mannequin with FLAIB New York 11 means? Can anyone tell me about “Graceful Mannequin Co. INC. This is the stamp on the lower half waist along with 101 and 509/101. I believe this is a plaster mannequin. In regard to the people trying to identify their own mannequin or mannequins. Or If you have questions about your vintage mannequin or your looking for information on mannequins try the facebook page “Vintage mannequin”. There are over 800 members currently made up with people looking for information, collectors and professional visual stylist from Japan to California. There are a huge amount of members who can answer any questions or help you with identifying mannequins and what decade they are from. 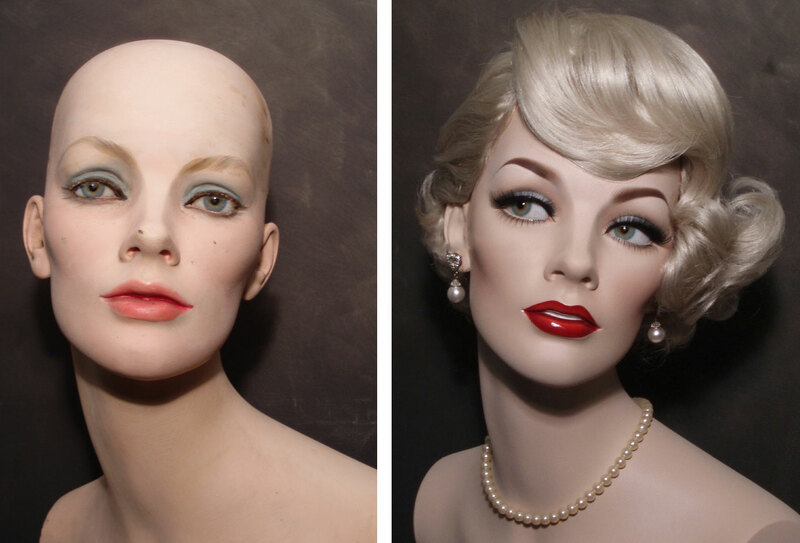 They also post vintage mannequins for sale. 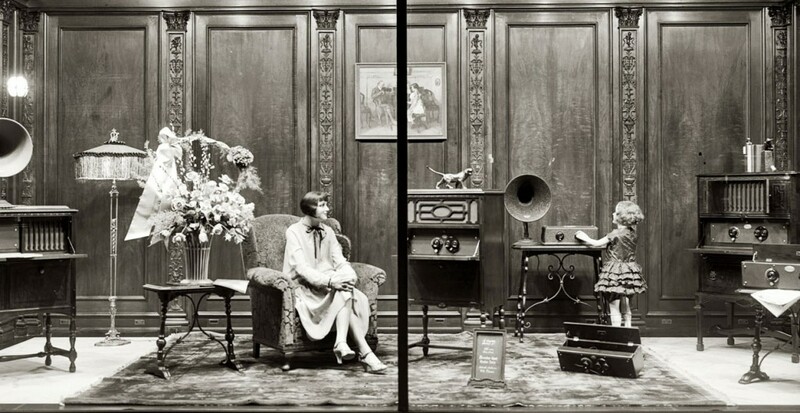 Its a great place to check out and the photographs from different decades are amazing. “ ” Soviet watches were highly egalitarian in their design and function; these were watches for the people.